Want a flawless, full-coverage look? Created for our Retouching Powder – but suitable for all our powder formulas – the short, tightly packed bristles of this brush effortlessly cut shine and deliver just the right amount of formula for an ultra-polished "HD" finish. 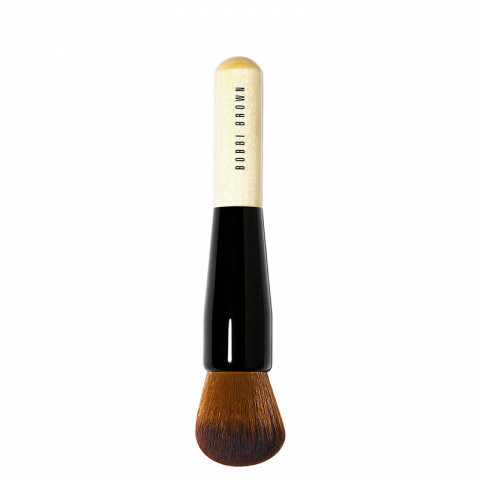 Plus, this brush can be used both dry and damp with our liquid foundations too. Love using this to apply and blend my foundation for a seamless feel and look. I really like using this product with loose setting powder. It does a really good job applying it evenly. Very soft, fluffy brush. Deposits product evenly. perfect buffing brush to use for applying foundation. provides excellent even coverage. This is a dense and versatile all-in-one brush! I can use this for foundation, cream bronzer, and cream blush with just this brush alone. A good investment! Very soft bristles and blends out makeup flawlessly! Use it everyday! Worth every penny! It is very soft and easy to blend the foundation for a flawless coverage.